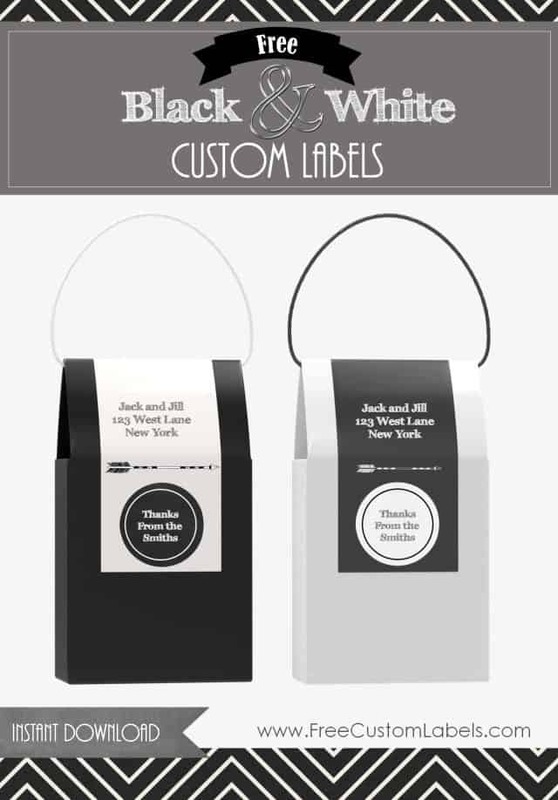 These black and white labels look really good on long tall black and white gift boxes but you can use other colors as well. Gold and silver will work well too. 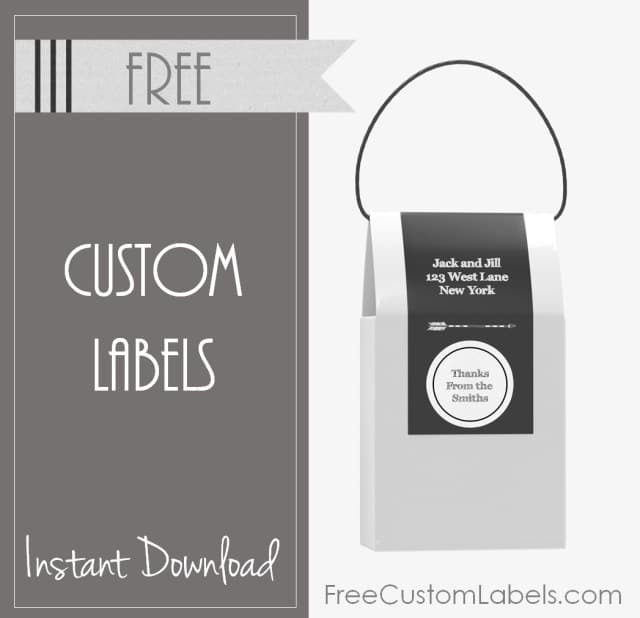 All of the text can be customized so you can use them for any pupose. They transform gift boxes from plain to unique and make great custom wedding favor boxes. There are two versions available: black on white and white on black. 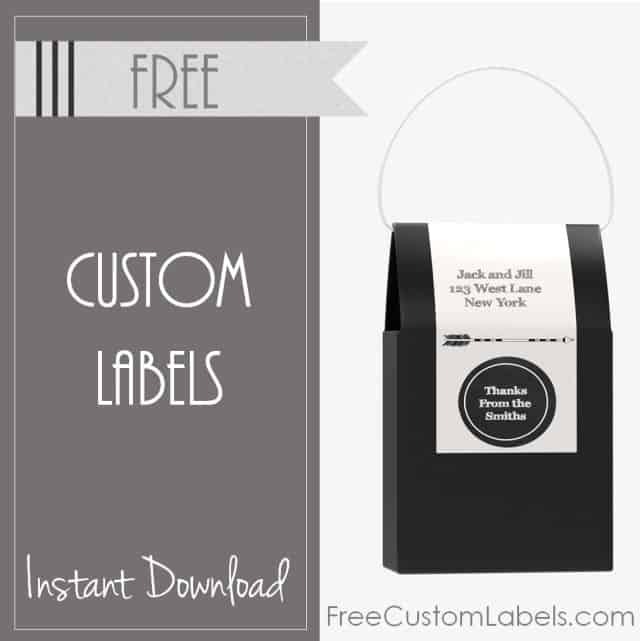 If you are looking for additional black and white options then check out our other chalkboard labels.